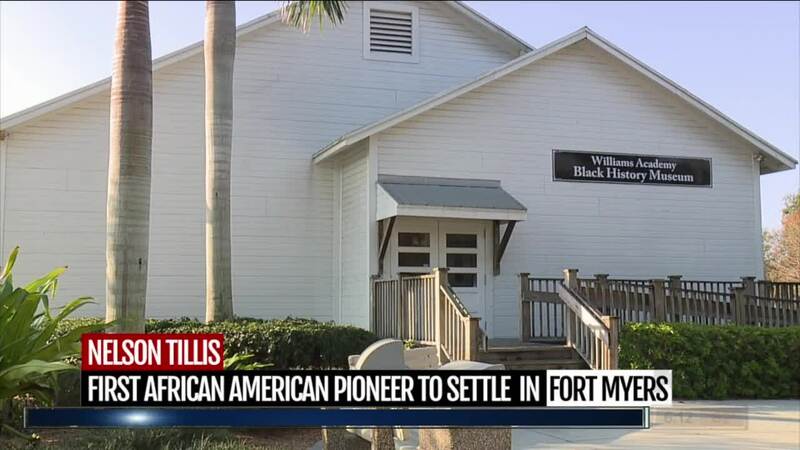 On Christmas Day in 1867, Nelson Tillis arrived in Fort Myers and became the first free black pioneer in the area. FORT MYERS, Fla. -- On Christmas Day in 1867, Nelson Tillis arrived in Fort Myers and became the first free black pioneer in the area. He worked as a farmer, a fisherman and a fishing guide and was even known to take the inventor Thomas Edison fishing from time to time. Being a strong member within the community, Nelson Tillis helped haul material on the river that was used to construct some of the first buildings in Fort Myers.